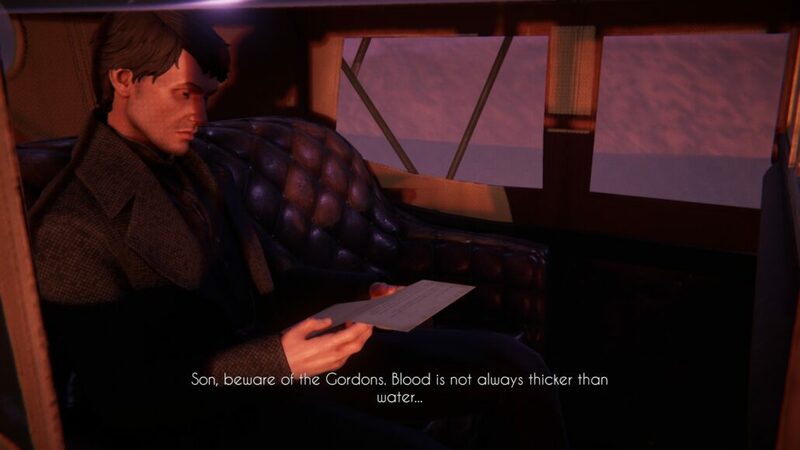 The Black Mirror series is a series fans of point and click adventures hold dear thanks to its horror setting, the eerie Black Mirror castle, and the actual experiences, filled with mysteries to unravel and puzzles to solve. The series was seemingly done with the third entry, released in 2011, but now it has been brought back by KING Art games and THQ Nordic with a reboot. The end result, sadly, is not up to par with the older games. Black Mirror stars yet another member of the Gordon family, David, as he his called back to Black Mirror House in Scotland to inherit the family’s estate following the suicide of his father. Things, however, are way more complicated than this, as David learns during the course of the adventure: by speaking with the current inhabitants of the house, David starts learning the true reason behind his father’s suicide and the dark history of the family. Black Mirror’s story doesn’t differ from the typical horror story we have experience time and time again, but this doesn’t mean that it is not intriguing. Sadly, it fails to become truly compelling and memorable due to a variety of issues such as writing and characterization. Dialogues aren’t really badly written, but they’re quite forgettable, and so are the characters, who are bland and often fall into the clichès of the genre. David himself is a forgettable main character, and the fact that all characters show little to no emotion doesn’t help. There are some interesting bits of worlds building, such as those found by reading books scattered all over the house, but the main story never really builds upon them in a proper manner. 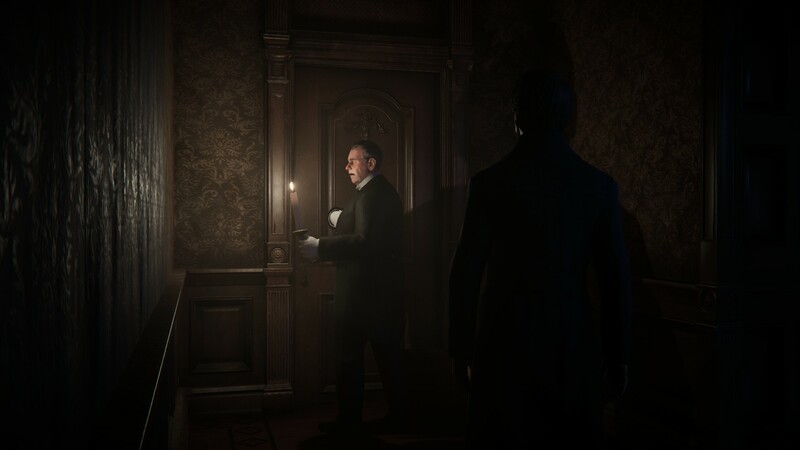 The game’s atmosphere, which is well realized, and jumpscares end up being the main reason to continue playing the game, not the unraveling of the mysterious past of the Gordon family. Black Mirror gameplay experience is also flawed, but it’s thankfully better than the story’s execution. Being a point and click adventure, players will control David as he explored Black Mirror House in search of clues that might help him understand why his father committed suicide. Interaction with other characters is pretty straightforward, with different dialogue choices that don’t lead to any truly different outcome. Items that are picked up can be rotated in the menu to find additional clues for puzzles, of which there are quite a few. They’re mostly on the simple side, such as finding the right combination to open a lock and so on, but they’re well made and never frustrating. What is frustrating, however, is navigating Black Mirror House itself due to the clunky controls that make moving David towards a clue or item an exercise in patience, even more, considering how some camera angles are just not the best. Mouse and keyboard controls, which are still the best for this type of game, sadly don’t help, as they mirror the gamepad controls, with the WASD letters used for movement and the mouse for a limited camera control. If one can get used to the issues, Black Mirror does provide a decent adventure experience. The presentation is also one of the reasons why Black Mirror fails to live up to its predecessors. While the game manages to retain the eerie atmosphere of the previous entries in the series, there are way too many issues that are quite distracting, such as the stiffness of the characters’ animations and even lighting, which doesn’t feel natural at all. The game also suffers from some technical issues, such as random frame rate drops on a system more than capable to run the game smoothly. Audio is barely acceptable, with some generic music pieces meant to enhance immersion and some mediocre voice acting that makes it even more difficult to care for the characters. As a fan of horror games, I really wanted to enjoy Black Mirror, and in some ways, I did, as the gameplay is fine despite some issues. Where the game fails to deliver is where it mattered the most, as the bland characters and writing prevent the story from developing properly. Fans of the series may still want to take a look at the game, as the atmosphere and jump scares are more than decent, but everyone else would do better in look at other horror games. PC version tested (review code provided by the publisher). You may purchase the game on Amazon. KING Art's take on the series was supposed to introduce it to a new generation of fans, but as things stand, it would be better for those interested in it to get the older Black Mirror games, as the reboot is marred by a variety of issues that prevent from being a memorable experience. There is a decent adventure game hidden somewhere beneath the mediocre writing, bland characters, and technical issues, but it would be better to look elsewhere to get a better experience.